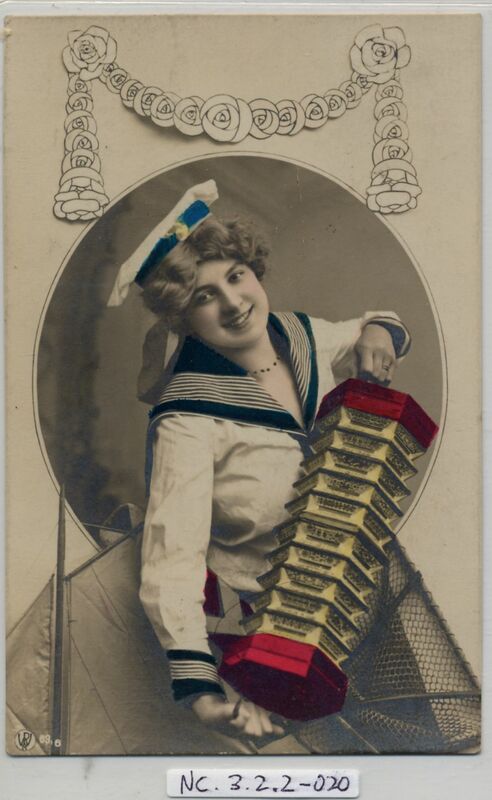 Full Description: Postcard of Germanic girl dressed in sailor's clothes and cap, dragging apart by the hand-straps a hexagonal German multi-bellowed Anglo with fancy bellows. The card is sepia, with hand-tinted hat and concertina, and the divided rear is stamped "Post Card" in many eastern European languages. The card was postally-used from Dresden (? ), in 1907.